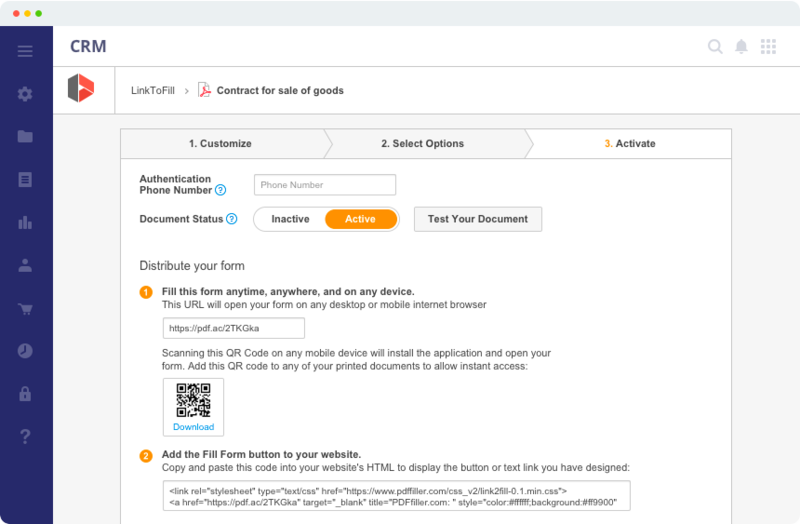 Looking to automate the entire business document lifecycle in your CRM? 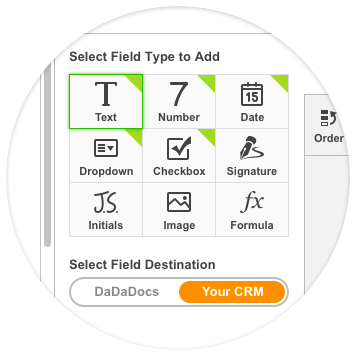 invoices and other business documents filled in with data from your CRM. 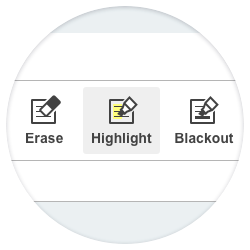 without having to leave your CRM. customer records & get completed documents in your CRM. 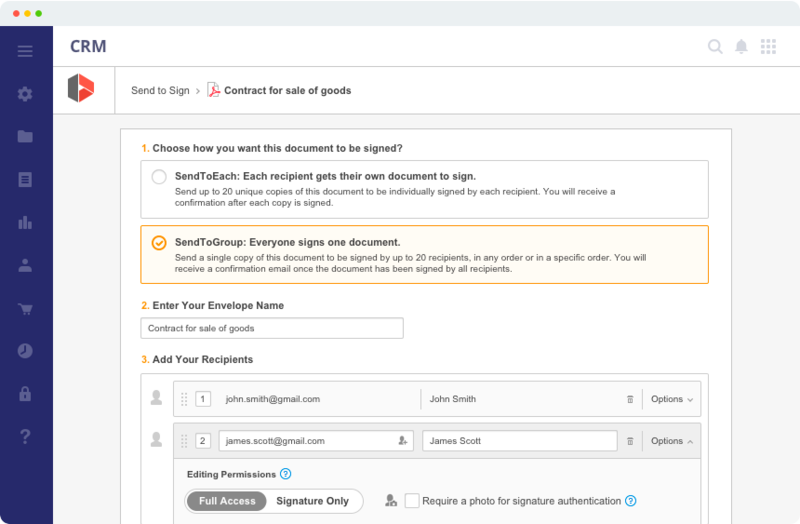 single signature to complex workflows of up to twenty signers. Want to Learn More or Become a DaDaDocs Customer? 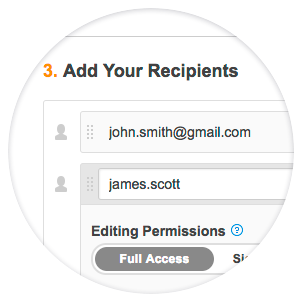 Complete, store and transmit HIPAA medical release forms securely and in half the time. Save time collecting filled in SDI and ACORD forms and other client insurance information. Close contracts on the go instead of meeting in person, keep secure client records. Avoid duplicating data, save time & minimize errors when compiling multiple tax reports. 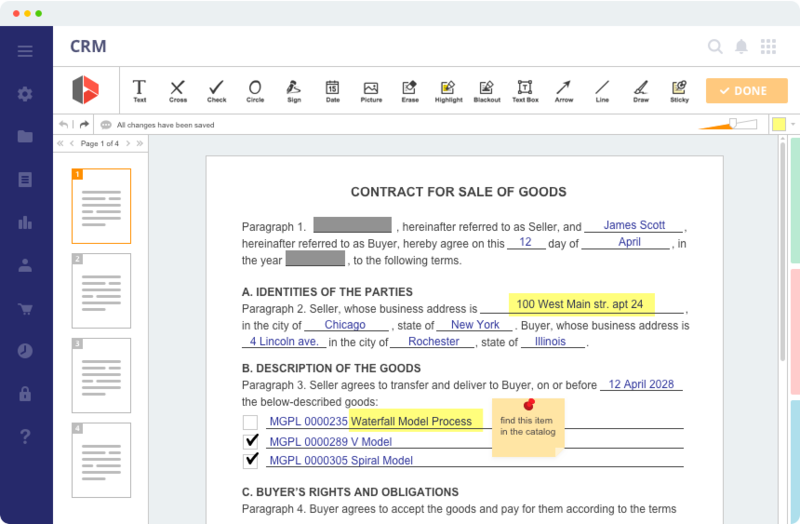 Save time filling out, annotating and collecting signed legal forms. 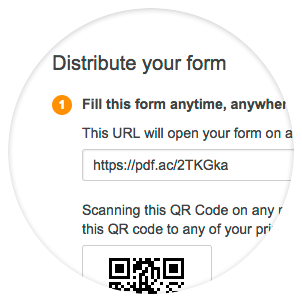 Create, sign and send out digitally reusable HR forms and documents in half the time. 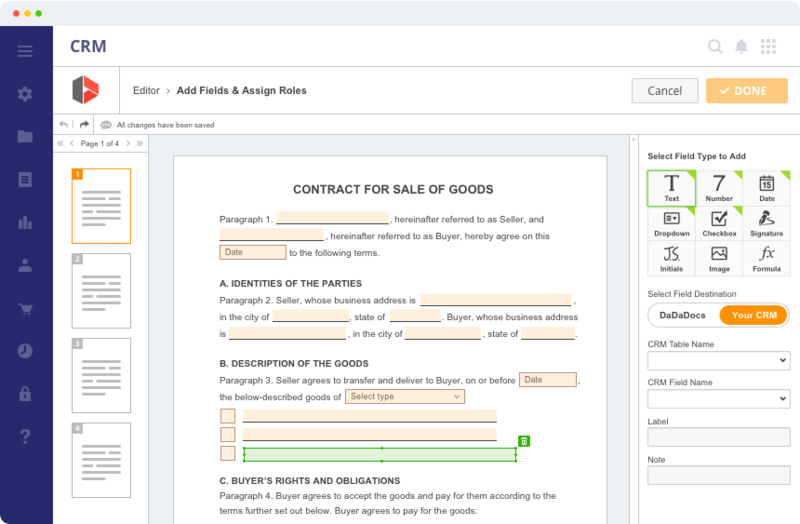 You can always integrate the DaDaDocs API into your app or software platform & streamline signature collection, document completion and workflow management.